Monday: CLOSED Tuesday: 10:00 am - 4:00 pm Wednesday: 10:00 am - 8:00 pm Thursday: 10:00 am - 4:00 pm Friday: 10:00 am - 4:00 pm Saturday: 10:00 am - 4:00 pm Sunday: 10:00am - 4:00pm Brunch is served all day Saturdays and Sundays. PLEASE NOTE: Our kitchen closes 30 minutes prior to closing time; Grab-n-Go items, beverages & desserts available until closing. Join us on Thursday, May 2nd for an evening of wine & food! We will be serving a four-course dinner created by Executive Chef Kirk Hanson, with each course designed around its own wine selected with care by Banville & Jones. A sommelier will guide you through each course, offering a greater appreciation of how wine & food can bring out the best in one another. Doors open 6:00pm, dinner served at 6:15pm. Tickets are $95 per guest, all taxes & gratuities included. Book now through Open Table or by calling 204-289-2190. 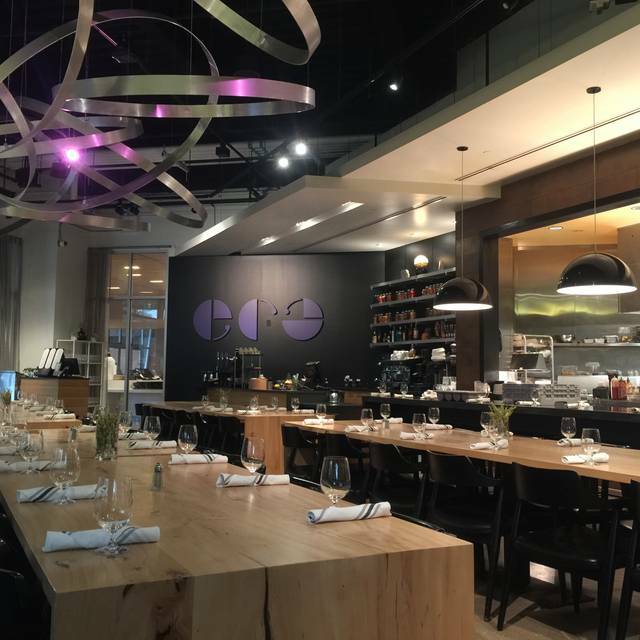 From cocktail receptions to dinner parties, corporate functions to holiday parties, ERA Bistro is the place for a truly unforgettable event! Contemporary and fresh with an emphasis on local, Fairtrade & sustainable ingredients. Located within the Canadian Museum for Human Rights. Admission to the museum is not required to dine. Join us at ERA Bistro for Mother's Day weekend -- Brunch & cocktail features will be offered from 10am-4pm on Saturday and Sunday. Reservations will be limited, so secure your table now! Great service and great food. We like to come here for a nice meal even when we're not visiting the museum. The soup and salad required a little more seasoning. Nice atmosphere, good food. Nice to be in a space that is quiet enough for conversation. Only critique - we had to wait a few minutes before we were greeted at the door. I loved the open concept and the food presentation was amazing as well as very tasty! The food and service here are stellar . Lots of choice of excellent dishes made with local ingredients. The atmosphere is warm and inviting. We always enjoy stopping here, even if we are not visiting the museum. Food was very tasty and staff were very friendly and accommodating. The food was awesome. I thoroughly enjoyed my meal The Monte Cristo sandwich was hot and good. Dessert was creme brûlée and it was a sweet delight. Love the Bistro Burger but to upgrade the side salad to a small Caesar brought price to $19 so a bit pricey! We had a spectacular dinner on New Years Eve. The choices were exceptional, everything from the first course to the last. The staff were friendly, joyful and shared the workload well. We had a quiet meal as a couple and were not bothered by large groups nearby, as well as a child at one table with his parents. We enjoyed the atmosphere of the room as well. We look forward to another New Years eve dinner next year. First visit. Wonderful experience and will definitely be back. It's a shame that they have such a small and unappetizing menu and terrible chef in this beautiful location. We brought an out-of-town guest lecturer here, thinking she should experience some of the CMHR during her visit. I knew that the bistro space is very cool-looking, too, having been there over a year ago. The lights were too bright this time, but the real disappointment was the food. The selection on the menu is limited, heavy, and not inherently consistent, and the execution of the meals was worse. The battered carrot fries were soppy with grease and the "jumbalaya" was vegetable free: potatoes on wheat berries with sausage -- so, carbs on carbs with some meat. Huh? Really disappointing. Why can't the bistro get one of the many great chefs that come from Red River College to shake things up? Food was outstanding. We went for Saturday brunch and had the burger and the croissant melt. I would highly recommend either. We also order a side of pancakes, which were huge and delicious. Great coffee, great service. Will definitely be back. My friend and I were very happy to find this place! Definitely coming back! Always love the food and the excellent service at ERA. We loved the place but more soundproofing might help. We will definitely be back. Was there for brunch and it was outstanding. The service, the food and the atmospere were fabulous. Had an outstanding evening out at Era Bistro on the patio. Fabulous food, great live music and an attentive waitress!!! The food at ERA is always great and the service impeccable. I was disappointed in the quality of the food-- summer salad was iceberg lettuce only, one boiled egg ( tasted old)... I wouldn't serve that at home .. the dressing was bland ... I have been to the bistro on 2 other occasions and found the breakfast to be better... in such a beautiful modern setting.. why wouldn't the manager demand exceptional quality food?? We had a wonderful brunch for Mother's Day. The menu had something for everyone. The dishes were delicious and flavourful. Beautiful presentation. Great service and wonderful atmosphere. Beautiful location. My daughters and I enjoyed our Mothers day Brunch very much. The Banana French toast was amazing. As was the omelette croissant I had. The staff were very friendly. I'll come again! While not overwhelmingly busy and even though we had been advised of 2-hour seating, the service was slow. Our server was pleasant but certainly didn’t follow the two minutes or two bites guideline. The noise was excessive for the size and number of people in the space. The food was very good. Reasonable serving size and average cost. Lots of choices, family friendly. We had a lovely Mother’s Day brunch at the Bistro then made a day of touring the museum and gift store. The variety of brunch choices was more than adequate, the mimosas were delicious and desserts were lovely. We were lucky enough to have our own table for this special occasion although sitting at a communal table would be fun in other circumstances. I like the patio as well. A very nice restaurant in the spectacular Canadian Museum of Human Rights. Era bistro has my favorite eggs Benedict in the city. And amazing coffee. Service is great. Food was good, as we as the service. My group was particularly impressed because a group of 25 came in without a reservation so the restaurant was very busy. Another member of the staff, in this case I believe it was the manager, stepped up to help out with making sure we were still seen to despite the chaos, it was appreciated. We had a fantastic family brunch in a beautiful setting. 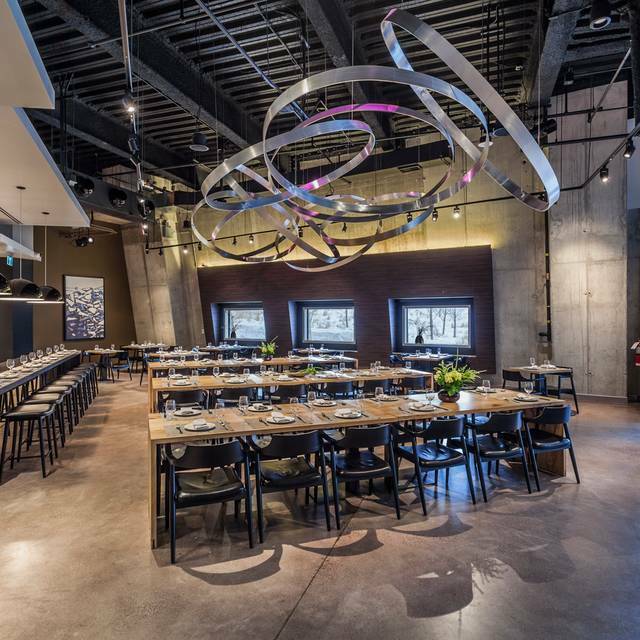 It is a wonderful restaurant in the most beautiful building and right in the heart of the Forks and the city. Nice spot in a beautiful building. An eclectic menu with lots of vegan and vegetarian choices. Very interesting combinations, nice selection of appetizers, good salad choices. There a number of daily specials to choose from. Very limited wines by the glass, standard cocktails. A bit pricey but not bad value for the money. We as usual love the food and Brandi provided us with amazing service. Really nice meal, and better than what you generally expect at a museum restaurant! A very comfortable setting for an enjoyable lunch meeting. The server Evelyn made us feel very welcome. Great friendly service and the food,was very tasty. Desserts were creative. Food and service were excellent. Food was served very quickly. the food was delicious, perfect for my business meeting. Even the price was affordable and we were able to have lunch and dessert in a short amount of time. Excellent local sourced ingredients, fantastic service, and a lovely airy open ambiance in the beautiful Canadian Museum For Human Rights. Can stop at the gift shop afterwards and or go to the museum exhibits. You don't have to pay to go into the museum to eat at Era or go to the gift shop. Museum is free on the first Wednesday of the month and that is the only night that Era is open for dinner in the evenings. Delicious variety of food!! Felt 5 star for sure for a much better price tag! !